The Autumn term is well under way and this term we’re continuing to invite guest teachers into the School to teach class. This term has an exciting line up of teachers in both ballet and contemporary. The first guest ballet teacher this term is Pedro Lapetra. Pedro has been with the English National Ballet for 12 years and is a current soloist. He recently graduated from the Royal Ballet School’s teacher diploma course. Pedro was born in Spain and started dancing at the age of 6. His career highlights include: Dancing Mercutio in Nureyev’s Romeo & Juliet; Bluebird (MacMillan’s Sleeping Beauty); Peasant pas de deux in Mary Skeaping’s Giselle; Le Corsaire pas de deux with ENB and working with Jiří Kylián on Whereabouts Unknown (Norwegian National Ballet). 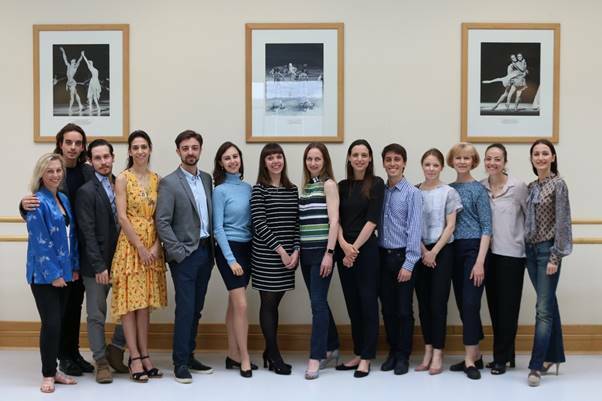 The Royal Ballet School Graduation for their Diploma in teaching. We can’t wait to welcome more guest teachers this term to Rambert School.